Much awaited Gujrat Rajya Sabha election 2017 for three seats in Gujarat, which will be unknown till the very last vote is counted. 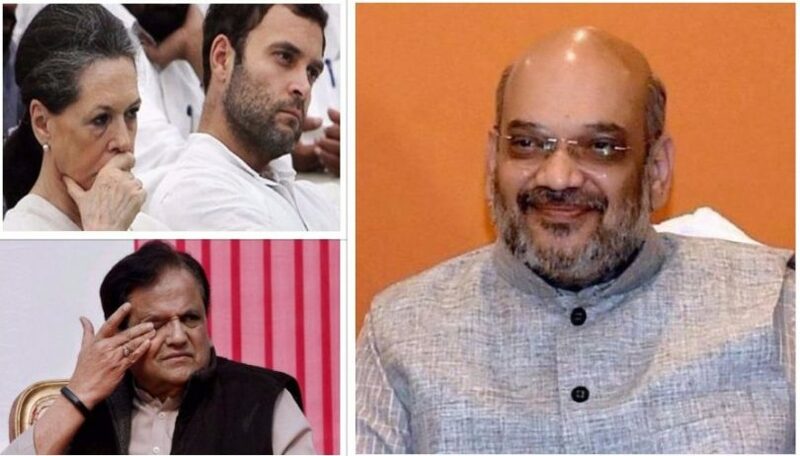 All eyes are on Rajya Sabha contestant Ahmed Patel, Amit Shah, Smriti Irani MLA Balvantsinh Rajput for this Rajya Sabha election. The counting of votes will begin at 5 pm and the results will be declared in the evening. From last two decades contest does not take place in Rajya Sabha election in Gujarat. Ahmed Patel is the party’s nominee Congressgress party, while Amit Shah, Smriti Irani, and former Congress MLA Balvantsinh Rajput are candidates from BJP. Amit Shah arrived in Ahmedabad on Saturday, 5th aug. He did a meeting or discussion with Chief Minister Vijay Rupani and other BJP leaders on Sunday, 6th aug. Meanwhile Congress made arrangements at a resort near Anand, for their meeting with congress MLAs. Rahul Gandhi (Congress Vice President) visited to Banaskantha and ask questions about the impact of demonatisation from people who effected by flood in gujrat. He spent about a half an hour in Agricultural Produce Market Committee (APMC) which is one of the worst-affected areas by flood to leaving an impression on people. BJP has 121 MLAs in the 182-member House, Amit Shah and Smriti Irani are expected to easily sail through, which means the battle will be between Patel and Rajput. Three weeks before Congress was expected to that they had hold on its RS seat, but the situation has turned when 6 MLAs resign along with Shankersinh Vaghela. Understandably, there will be more chances of BJP to win the election we can say the Congress camp is quite low.